A recent report from the ENAR (Eire Network Against Racism) has revealed the extent of racial prejudice in Irish culture. A summary of the findings indicate that an approximate 30 percent of complaints submitted to iReport were incidences of racial harassment and threat against people of African descent; the harassment was commonly reported as taking place in public, specifically in/on public transport systems. Similarly, many of the complaints raised the concern of being knowingly under constant surveillance in public spaces. But the threat is not only public; over half of the reports received and studied described instances of online abuse and racial threat, mainly on social networking sites where many people where individually targeted and harassed. There are low levels of trust in An Garda Siochana to address and understand the impact of racist incidents, and to apply the definition of racist incidents adopted in 2001. Currently, the ENAR is urging An Gardai Siochana and other public bodies to implement a more stringent anti-racist discourse among staff, in order to encourage the official reporting and handling of both verbal and physical forms of racial violence and that an eventual change in legislature is required to protect these groups. For my part, I argue that better educational practices need to be established throughout primary schools, with the conversation being brought into the home as well. The Irish people need to be educated on issues of racism, their psychological and undermining effect in our society. The ENAR further encourages the need for a renewed national action plan to combat racism, and the time for that is now. The beautiful Viola Davis just made history, as the first black woman ever to win an Emmy for Outstanding Leading Actress in a series. Her role in How To Get Away With Murder as Professor Annalaise Keating has been praised countless times since the series’ debut in 2014 and her role is appraised alongside those of Kerry Washington’s Olivia Pope on Scandal, Deception‘s Meagan Good and Taraji P Henson as Cookie in the massive series Empire and, of course, the notably diverse cast of Orange is the New Black. Certainly, the growing visibility of coloured women on our screen is wonderful, with such shows dominating television ratings and challenging racist ideologies worldwide; but – and this there is no denying – the continued and ingrained racism which television and movie production companies and hierarchies continue to flout evidently hinder the existence of roles available for women of colour. And this is exactly what Davis emphasises. Davis continues to praising those that have withstood these racist ideals and created spaces for women of colour on screen and finally applauds those actresses who stand with her challenging these ingrained racist ideologies and proving women of colour worth their salt both on screen and off. José vs Joe: Who Gets A Job? Same man, same resume, same job; different name. The fact that we continue to discriminate in terms of ethnicity and race is evident in this short video, with José failing to receive any job replies until he changed his name for the benefit of his could-be/would-be employers. José, clearly, was a capable candidate for certain applications (having received several invitations to interviews after the fact) yet was not deemed so until he took it upon himself to remove the ‘s’ and the acute accent from his name. These prejudices continue to damage our contemporary society and divide us as human beings who could and – more significantly – should treat one another with the respect and admiration. This video needs to go viral, we need to see just how deep the roots of prejudice and discrimination go and can they be excavated at long last? 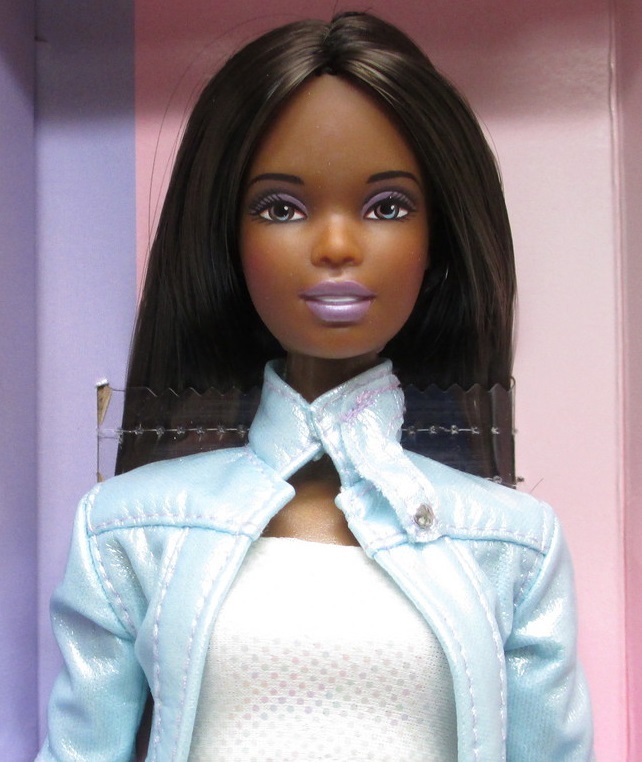 Organisation “Natural Girls United!” completely blasts Barbie industries out of the water with their realistic African-American styled selection of dolls. The ethnically appropriate and incredibly beautiful dolls and their designs – from the natural Afro hairstyles to their clothing choices and facial appearance – acts as a catalyst in contemporary toy manufacturing, challenging the non-authentic, Western-appropriate aesthetics of Barbie’s close (black)friend, Christie. I have wanted to take-on the project of customizing dolls hair, to have the look and feel of styles, and textures of ethnic women and girls, for a long time. As a young girl, I remember loving to play with my dolls… mainly with my Barbie’s. I thought the dolls where beautiful, but always noticed that my African American dolls did not look like me. Their features did not look like mine, and their hair certainly did not look or feel like my hair! This did affect my view of what beauty was. Byrd’s desire to challenge Westernized assumptions of beauty through diversification and ethnic inclusion in the manufacturing and designing process is significant and, slowly but surely, encourage more and more young women to embrace and recognize their beauty. Byrd’s stunning designs can be custom ordered as gifts or personal reminder’s of your own beauty on her website, linked below. Can We Have a #FairFutureNow Already? Who doesn’t enjoy one of President Obama’s enigmatic tweets? I, certainly, do; and especially when they involve the promise of equal pay for both men and women. Obama’s most recent (from the 8th of April) tweet backed an equal pay program on his own site Organizing for Action and calls for people to support the cause by boasting the #FairFutureNow hashtag. Women, on average in America, earn 77 cent for every man’s dollar despite doing the same work. This discrimination has been highlighted consistently and yet no change has actually been implemented to better the situation of women. The report also detail the wage gaps which exist between differing race and ethnic groups in the US, highlighting that Asian women ($770 per week) and men earned more than Black (599 per week), Hispanic and Latino ($521 per week), and White ($710 per week) counterparts in 2012; while White men ($879 per week) earned 83 per cent as much as Asian ($1,055 per week). The statistics are telling, and President Obama’s support for equal pay and an end to the wage gap is inspiring in such a prominent world figure, but the questions remains; why can’t that future be now? Why, as the images suggest, must we wait for our children for the wage gap to close and equality become an actuality. Surely, it can’t be that hard to imagine that future now. #FairPresentNowMaybe? It’s not the first time a primetime sitcom has been called out for racist content, and it’s definitely not the first time How I Met Your Mother has been put under the spotlight for indecent and offensive content. This weeks episode featured three of the shows protagonists – as seen in the images below, Lily, Ted and Robin – join in one of Marshall’s ongoing storylines in yellowface. The storyline, quite frankly, is so ridiculously offensive and unwarranted that it’s repetition seems unnecessary. What is obvious is that the episode required a certain Asian stereotype to be fulfilled, and that was clearly done without any thought given to the offending nature behind the content. I certainly will not be watching the final series before an apology is issued to the Asian community and I can only hope that others will, too, will be pushing CBS for an official apology. Should Mindy Kaling’s Elle Cover be Controversial? Renowned comedic actress Mindy Kaling graced the cover of Elle magazine this February. She’s well known for her role on The Office as actress, writer, and director, as protagonist of her own show The Mindy Project, and for her position as a curvaceous, coloured woman in an incredibly public role. While Mindy was certainly and openly delighted about her Elle cover, there is a serious difference between her image and the three other Women in TV themed covers. The three other women – Zooey Deschanel, Amy Poehler, Allison Williams – were featured at three-quarter shots and in colour; Mindy is featured close-up and in black and white, washing out what makes her completely different and unique from the three other actresses. Mindy may be happy with her cover – and, yes, she should be, she is an incredibly beautiful, talented women and the cover certainly depicts this – yet, the racist, sexist implications behind the shot need to be brought into question. The cover should be perceived as controversial and women – women of colour, curvaceous women who do not adhere to the stick thin standard magazine culture adores, women everywhere who desire a more accurate, honest view of different bodies – should demand better from their society. So, perhaps it is best that we continue to question these implications, that we criticise the racist, sexist, and demoralising realities behind the cover while upholding Mindy’s character and her wonderful talent.